When the computer is turned on, before entering the OS (operating system) it will be handled by the BIOS (Basic Input Output System) first, initialize the existing hardwares, set some basic configurations (date, time, etc. ), and then run the OS. BIOS configuration is controled by CMOS (Complementary metal oxide semiconductor) and the configuration will be lost (back to the default setting) when the battery is weak or exhausted. Usually we will press F2 to continue, or press F1 to setup. If we press setup (F1) and set the BIOS, then the configuration will be lost again when the computer shutdown. For general Desktop Computer, we can replace that battery. 1. 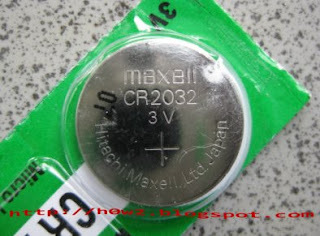 Buy the 3V battery (CR2032) at computer stores, electronic components store, etc. (It also is used for electronic calculator). 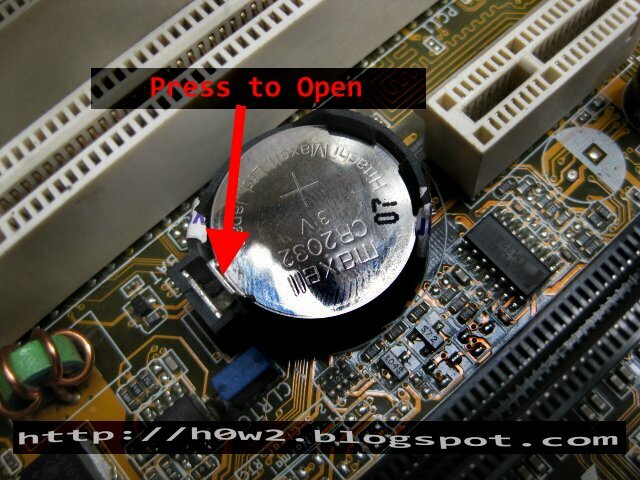 3 Open the computer casing cover, and look for the location of the BIOS battery. 4. To open the battery, press the lock to the outside and take the battery out slowly and carefully. 7. Turn on the computer, don't forget to set the time first before using the computer.